Hibu Website Builder Review 2019 | Is it the best? In a nutshell: Although on the pricey side, the Hibu website builder platform provides an all-inclusive service that connects businesses with professional web designers. Hibu handles all the crucial aspects of building a website, from design to online and social marketing. 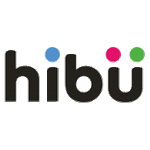 Hibu saves time, making it easier to grow your business and generate leads online. Hibu has built well over 500,000 websites for businesses across the US within the last 10 years. It offers professionally built, modern, customized websites for its customers. These websites are fully responsive and built to look great across all devices. Hibu experts will do all the work, but during an initial consultation and throughout the process, you can provide the input and direction you want. You’ll even receive proofs of the site before going live with the opportunity to make additional changes. By including the site build, hosting and upkeep, this option is attractive for those who don't mind paying a bit more for a professionally built, done-for-you website. Hibu has eCommerce templates available or specialist eCommerce website designers that create a custom-built storefront. However, customers need to handle other services themselves. That includes setting up a shopping cart, a payment system, and shipment. Hibu provides mobile friendly websites that look great on any screen. Their designs simplify customers’ mobile experience so that it’s easy for them to navigate your site and contact your business. Hibu offers search engine optimization in a number of ways. They help optimize website content by adding SEO copy, alt and meta tags, site architecture analysis, and page titles. Their specialists increase visibility of your website with in-bound links, local listings, press releases, and up to date articles. They also improve social media pages on Facebook, Twitter, and Google+ as well as produce custom videos. Support is available 24/7 by live chat and telephone. The Hibu website builder also hosts pages across a number of different social media channels including Facebook, Twitter, Linkedin, Google+, Instagram, and Pinterest. Their website also has FAQs, tutorials, videos, and a blog with articles about how to build a successful online presence. Overall, customers give good reviews to this website builder reporting friendly service and knowledgeable specialists.